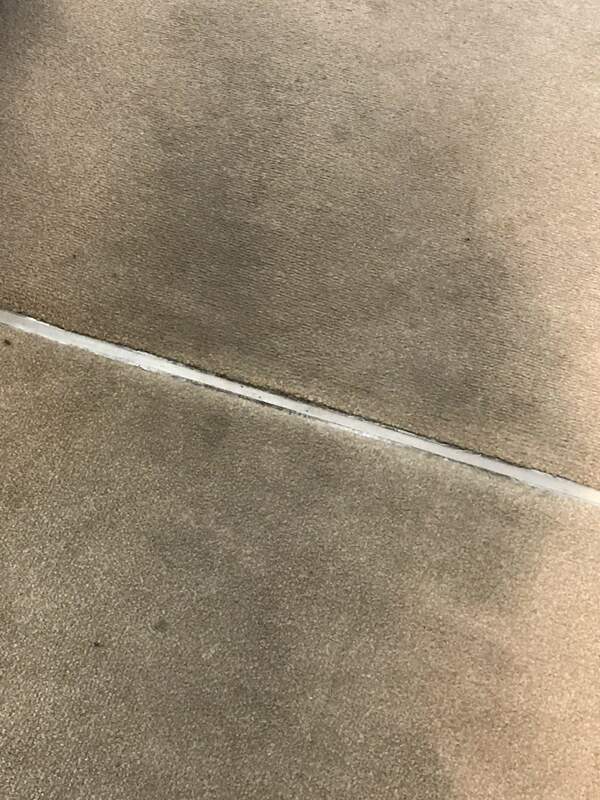 The carpets in your home may look clean but if you rarely clean your carpets or have never had them deep cleaned you may be surprised by what can be living in them and how dirty carpets could be affecting your families health. Carpets can be a germ hotspot and it may surprise you to learn that they can be 4,000 times dirtier than your toilet seat. Many people only clean the carpets in their home when they have a stain or when the carpets look dirty, but even carpets that look clean can be harbouring a host of germs, dirt and allergens. Recent research has shown that around 41% of adults in the UK have never washed their carpets. To ensure your carpet is clean and free from harmful germs and allergens we recommend having your carpets deep cleaned. Using a professional deep carpet cleaning technician, such as Tailor-Made Property Services in Romsey, ensures that your carpets are cleaned thoroughly and are free from dirt, germs or allergens. Household carpet cleaners and spot carpet cleaners may look as if they have cleaned your carpet properly, but many only clean the surface leaving behind the germs and allergens that are bedded into your carpet and can’t be seen with the naked eye. Deep carpet cleaning can help to keep your carpets clean and free from germs, dirt and allergens and can also be better for your families health. Without regular deep carpet cleaning, germs, dirt and allergens can build up in your carpet and can not only be damaging to your carpets but also to your health. Let’s take a look at some surprising facts about dirty carpets. The build-up of germs and allergens in your carpets could be making you ill and could be making conditions such as asthma, eczema, allergies and rhinitis worse. Uncleaned carpets can be full of dust mites which are known to trigger asthma, allergy, eczema and rhinitis attacks. Deep carpet cleaning removes the germs and allergens from your carpet fibres and helps protect your family. The Norovirus is a virus that causes symptoms similar to food poisoning or stomach flu and it could be living in your carpet. The Norovirus can survive in your carpet for around 4 to 6 weeks and can become airborne when people walk across your carpet. Every day the carpets in your home are exposed to grease and dirt from your skin, shoes, pets, spillages and many other factors. Oily residues dry onto your carpets and lock-in dirt to your carpets fibres, if left uncleaned your carpet will become a breeding ground for germs and over time will discolour or lead to traffic lanes. Carpets can hold as much as four times their weight in dirt! Sandy soil can collect in the pile of your carpet and cannot be seen or reached by household vacuum cleaners or carpet cleaners. This build-up of soil in your carpet can grind away at your carpet and cause irreversible damage. Carpets are a catch-all for dirt and you may be surprised to learn that your carpet fibres could be home to a range of allergens such as dust mites, pet hair, pet urine, dead skin cells, dust, insect faeces, bacteria and mould. You may think that the toilet seat in your house is where germs like to live, and while your toilet seat can be a breeding ground for germs it may not be the dirtiest item in your house. As we expect there to be germs on our toilet seats we make sure we clean them regularly to remove them. But your carpets can actually be dirtier than your toilet seat and without regulardeep carpet cleaning your carpet could be more harmful to your health. About 200,000 bacteria live in each square inch of carpet (nearly 700 times more than on your toilet seat), including E. coli, Staphylococcus, and salmonella. At Tailor-Made Property Services, we offer a range of high-quality property services to homeowners, landlords and residential property managers in Romsey, Southampton and surrounding areas. We provide a friendly, professional and reliable service 7 days a week, 365 days a year. Our deep carpet cleaning services in Romsey and Southampton includes carpet and upholstery cleaning services such as 6 stage extraction carpet cleaning, upholstery cleaning services, curtain cleaning, mattress cleaning and dry extraction carpet cleaning. If you haven’t had the carpets in your property deep cleaned before or within the last 12 months we recommend you consider it. Having your carpets deep cleaned can ensure they are free from dirt, germs and allergen and are clean and free from stains and odours.